4Wealth Resources provides no information about who owns or runs the business on their website. In fact as I write this, the 4Wealth Resources is nothing more than a compensation pitch with a sign up form. I did not a hosted 4Wealth Resources marketing video is narrated by “Dave”, but wasn’t able to ascertain who this person is or what their role within 4Wealth Resources is. The 4Wealth Resources website domain (“4wealthresources.com”) was privately registered on July 17th, 2018. 4Wealth Resources has no retailable products or services, with affiliates only able to market 4Wealth Resources affiliate membership itself. 4Wealth Resources affiliates pay $199. Commission are paid when they recruit others who do the same. 4Wealth Resources affiliates are paid a $25 commission per affiliate they personally recruit. 4Wealth Resources pays residual commissions via a binary compensation structure. At the end of each day 4Wealth Resources tallies up new recruits on either side of the binary team. Residual commissions are paid on paired recruits (one new affiliate on both sides), which is referred to as a “cycle”. How many cycles a 4Wealth Resources affiliate can earn on daily is determined by how many affiliates they recruit. Note that only the first residual commission cycles are paid in cash. From the sixth residual commission cycle 4Wealth Resources pays $75 per cycle, but only in Silver Eagle coins, bitcoin and/or “gas cards”. No explanation for this is provided. 4Wealth Resources pays a residual commission Matching Bonus via a unilevel compensation structure. 4Wealth Resources caps the Matching Bonus at five payable unilevel team levels. How many levels a 4Wealth Resources affiliate earns the Matching Bonus on is determined by their personal recruitment efforts. 4Wealth Resources affiliates have the option of signing up for a $75 autoship. 4Wealth Resources take these autoship fees and use them to pay a residual commission. Autoship commissions are paid out using the same unilevel structure as the Matching Bonus. How many unilevel team levels autoship commissions are paid out on is once again determined by recruitment efforts. Note that 4Wealth Resources don’t actually specify how much autoship commissions paid out are. 4Wealth Resources affiliate membership is $199. Full participation in the attached MLM opportunity also requires a $75 monthly autoship. That there’s no information about what is bundled with 4Wealth Resources affiliate membership is telling. All that is revealed is that the $75 affiliate autoship is for a “coin of the month”. Beyond that apparently precious metals will be made available, however no specifics are provided. Every paid membership with 4 Wealth Resources will allow the member to be able to purchase gold, silver, and other precious metals at cost! Front and center of 4Wealth Resources’ MLM opportunity is the compensation plan, which is 100% tied to recruitment. Thus what is bundled with the membership is ultimately irrelevant. 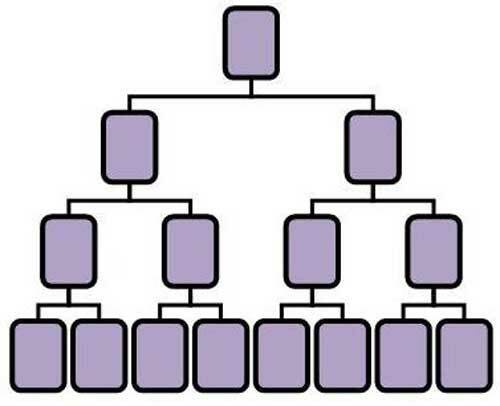 There are no 4Wealth Resources retail customers, which in an MLM business model is the equivalent of a pyramid scheme. You sign up, pay your 4Wealth Resources affiliate fee and are then paid to recruit others who do the same. As with all pyramid schemes, once affiliate recruitment inevitably slows down so too will commission payouts. One could argue that the $75 autoship will keep things going for a while, however if that was viable without recruitment then surely there’d be a retail option provided. That there isn’t suggests 4Wealth Resources will be paying inflated prices to prop up the cost of autoship metal plus commissions paid out. What we can conclude for certain is that either way, the majority of participants in a pyramid scheme lose money.